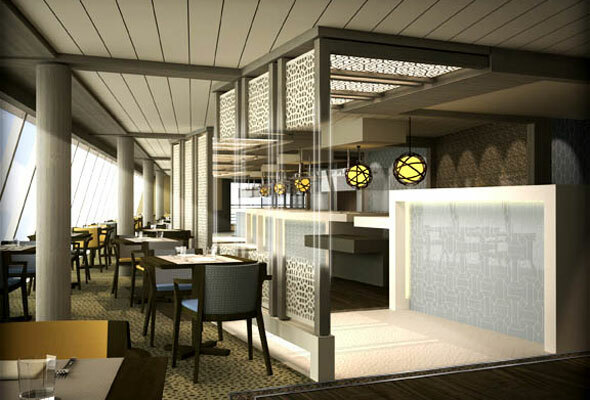 Crystal Cruises is planning a $17-million redesign of Crystal Serenity this November. 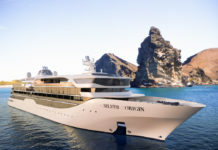 The cruise line will makeover Crystal Serenity’s butler-serviced Crystal Penthouses and Lido Deck, the indoor/outdoor Trident Grill, Tastes restaurant and Lido café. As with Crystal Symphony, Crystal Serenity’s Lido café will be redesigned with modern food islands replacing long buffet counters, more tables for two and a fresh baked goods kitchen. London’s Adfecto design firm was inspired by Santa Barbara’s casual, yet cultured, “American Riviera” vibe for the transformation of the ship’s spacious Lido deck. The redesign of the Penthouses will include marble and mosaics in the master bathroom, a walk-in glass shower and two waterproof Aquavision TV’s, one embedded in the mirror and one by the large window-side Jacuzzi tub. “Our redesigns aren’t merely new fabrics and furnishings. It is indeed extreme when you take out pools, tear down walls and completely re-invent spaces to create new stylish, contemporary and exceptionally welcoming and comfortable public areas and accommodations. Crystal Serenity’s first voyage after completing the dry dock will be a 12-night cruise from Lisbon to Barcelona departing 27 November 2013 through the Canary Islands. 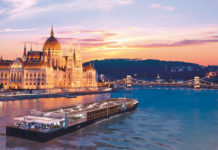 This will be followed by a Transatlantic crossing to the Americas, a Christmas/New Year voyage in the Caribbean and the annual World Cruise, an 89-night voyage from Los Angeles to Southampton, departing 18 January 2014.